Back in March I was lucky enough to be part of a collaborative shoot, organised by Ruth and Sheena of Emily’s Best Travelling Traditional Sweet Shop! With a Halloweeny… Harry Potteresque theme, I jumped at the chance to get involved! Having not had the exciting bit of trying on loads of bridal gowns for my own wedding, this was also the perfect opportunity to feed that little yearning too. 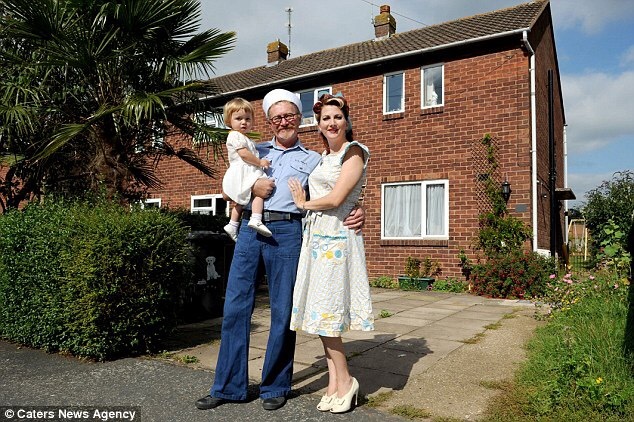 Gemma Williams was a wonderful photographer, as you can see from the images. Daisy and Fred created an epic Snitch themed cake, Jamball and Kerry Gold made some wonderful fabric and paper bouquets adorned with charms and Harry Potter references, Jen Hogmany Melchett upcycled some wonderful heels with big velvet bows and Marauder’s Map fabric, All Things Lucy handmade some stunning headdresses, Rosie Red Corsetry brought a mouth watering collection of gowns that I wanted to take home, Sarah Russell was makeup artist and went for a much more natural style than I am used to but super-wild hair, Shelsey Herbs and Flowers brought stunning flowers and foliage, M Style did the theming and there were more people than I can list helping out. 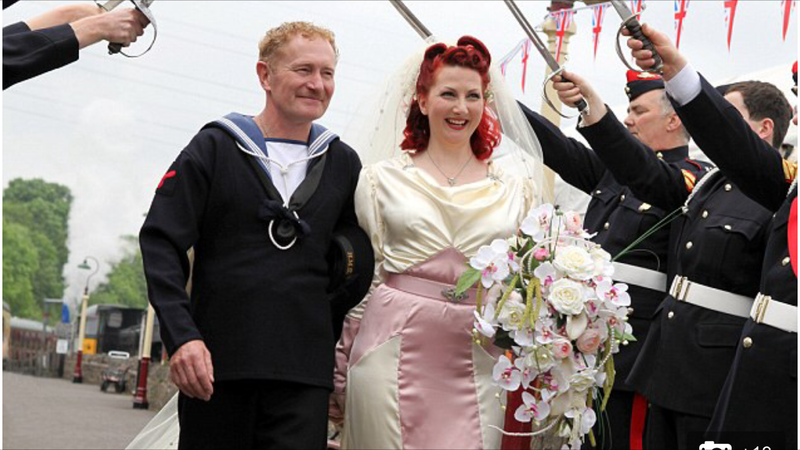 A double page spread of this wonderful bridal shoot has been featured in Issue 83 of Vintage Life Magazine! Posted in Events and Performances, Publicity and Media Announcements and tagged all things Lucy, bridal shoot, daisy and Fred cakes, Emily's best travelling traditional sweet shop, Gemma Williams, halloween wedding, Harry Potter wedding, hogwarts wedding, kitten von mew, Rosie jane, Rosie red corsetry, wedding shoot. Bookmark the permalink. 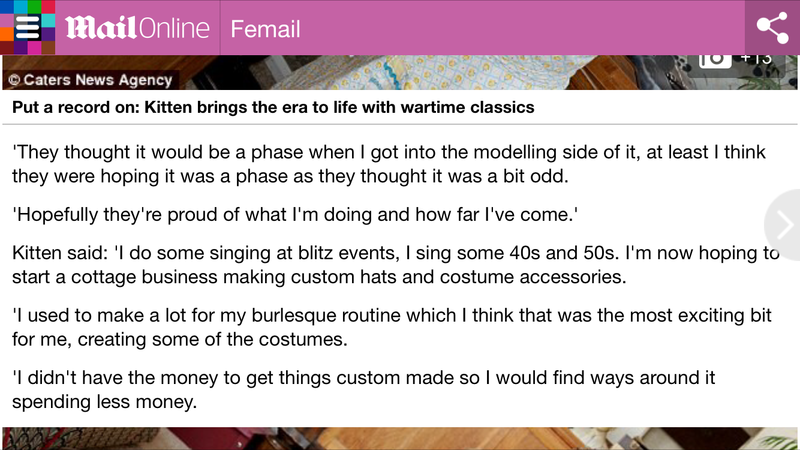 Ah yes, another corker of an article released today about our lifestyle; full of misquotes and fabrications to make us look weird. Always take this type of thing with a pinch of salt and a smirk! 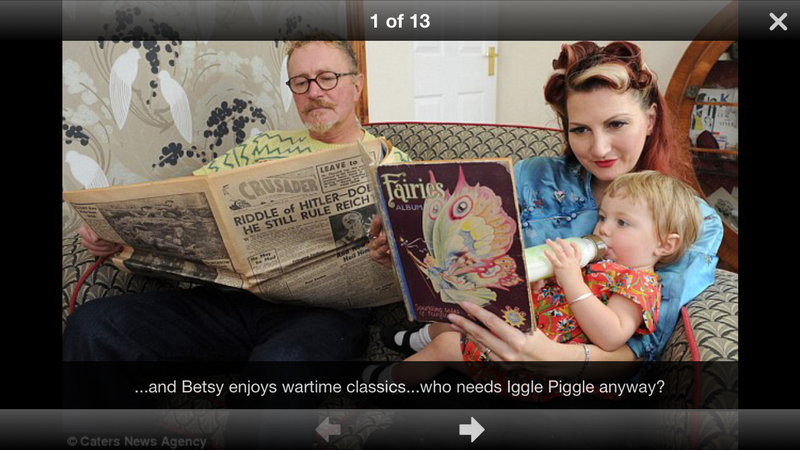 This wonderful image below was used in the article and not credited. It was taken by the talented Candee Photography! As you can see from part of this email, I previously contacted the company about misquotes and other info. Some of it was taken onboard… I mean, they corrected my name. Finally, thank you to Koray Erol the photographer. He did a great job on the day! 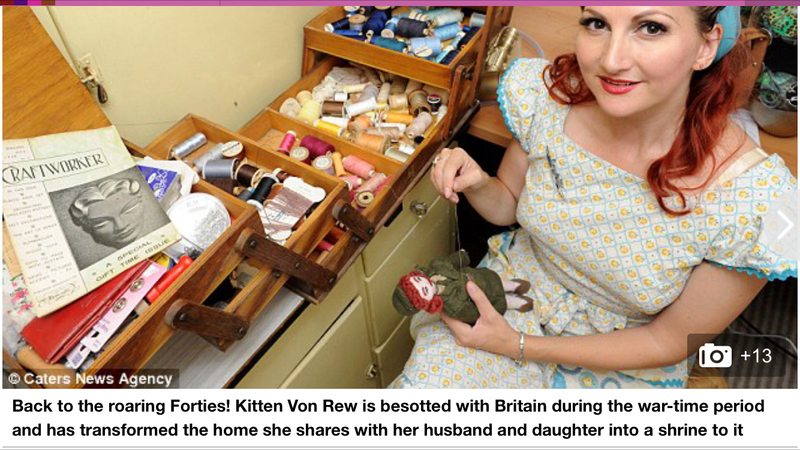 Posted in Publicity and Media Announcements and tagged 1940's lifestyle, daily mail kitten, dailymail, funny, kitten von mee house, kitten von mew, kitty von mew, koray erol, photos, richard von mew, vintage home. Bookmark the permalink. 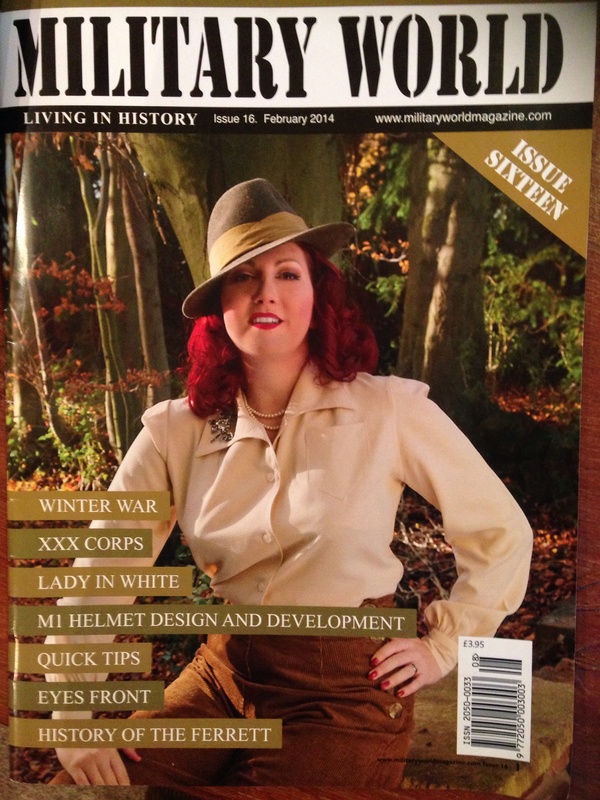 Military World Magazine Cover Girl! You can still purchase back copies of this Military World Magazine HERE! Don’t forget to bring yours to one of my performances and I will happily sign it for you! Posted in Publicity and Media Announcements and tagged 1940's fashion, cover girl, issue 16, kitten von mew, kitten von mew vintage model, kitten von mew vintage pinup, kitty von mew, Military World, military world magazine, reenactor magazine, soldier magazine, vintage model, vintage pinup, ww2 magazine, wwii magazine. Bookmark the permalink. 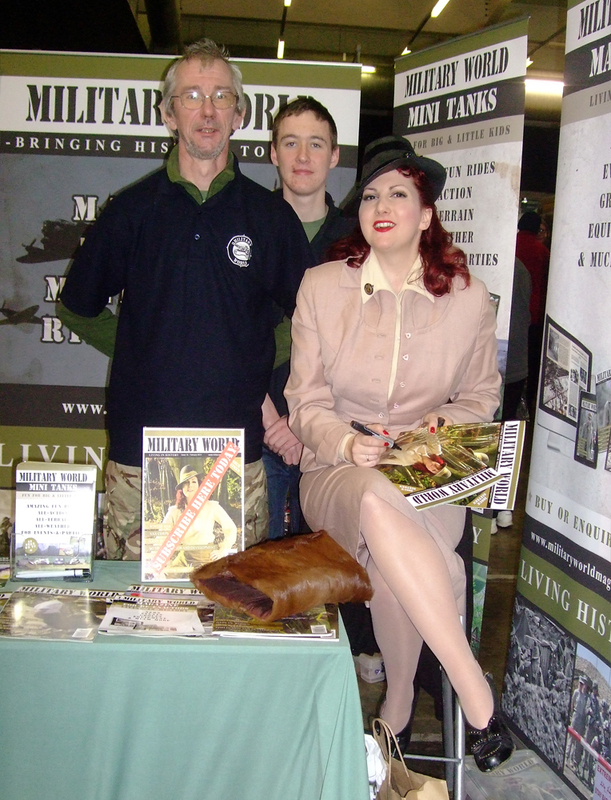 get your copy signed at the Militaria on 2nd of February! 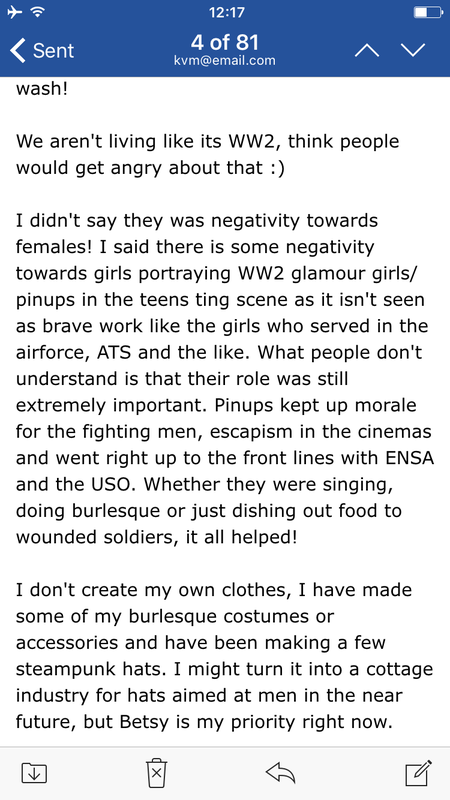 Posted in Events and Performances, Publicity and Media Announcements, Uncategorized and tagged cover girl, kitten von mew, kitten von mew magazine, kitten von mew military world, Militaria, military world magazine, pinup, Stoneleigh Militaria, ww2 magazine. Bookmark the permalink. As many of you know, I regularly write articles for the magazine, but issue 10 has a rather big surprise in the middle! 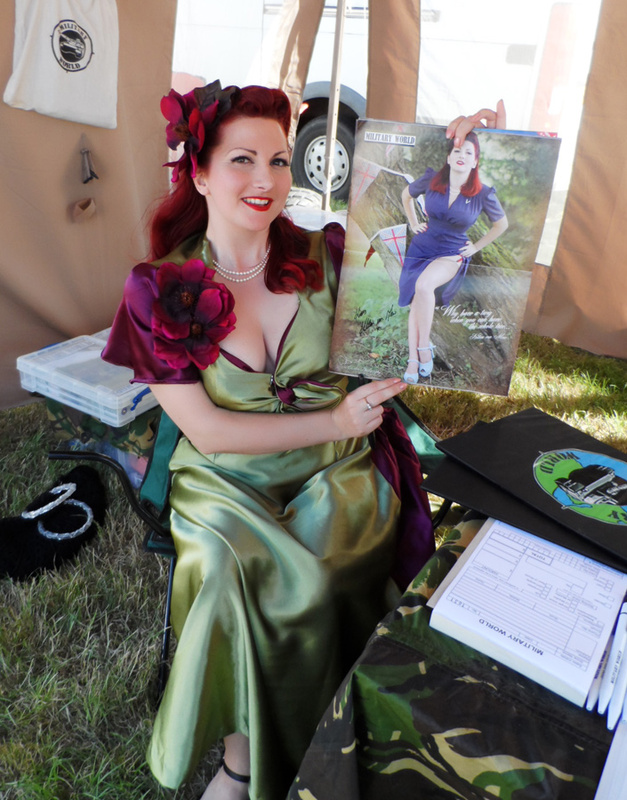 Taken by Candee Photography and modelling the Heyday Mary Dress, this pinup poster is perfect for your reenactment camp and already has an aged look to it! Posted in Publicity and Media Announcements and tagged candee photography, candee piccies, heyday, kitten von mew, kitty von mew, military world magazine, vintage girl, vintage pinup, ww2 magazine. Bookmark the permalink.